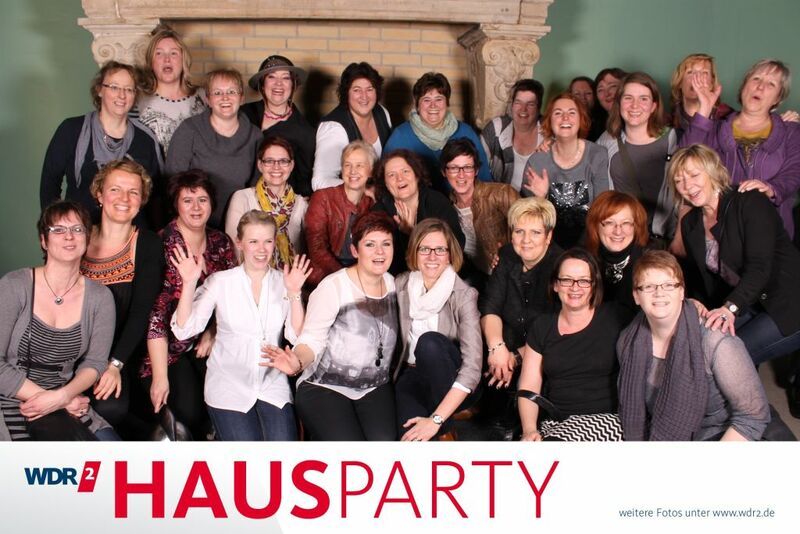 WDR 2 Hausparty in Gelsenkirchen! It was a fabulous weekend ladies…thank you for sharing your ideas, creativity, and of course your very valuable TIME! („Time“ being the most valuable commodity of all, considering that most of us have other jobs, husbands, children, pets and households to manage 😀 !) I must send a special „shout out“ to Simone and Maggie, who with any regard for their own safety, dragged me out onto the dance floor (more than once) to dance (bounce) underneath the glittering Disco-Ball to the sounds of Bee Gee’s „Night Fever“ and Donna Summer’s „Last Dance“! Not to forget Jenni Pauli, who not only arranged a wonderful creative weekend for almost 50 team members, crammed full of inspiration and great advice for our individual business needs, BUT did it ALL with generousity, charm, business savy and impecable taste! Thanks again and an extra Stempelwalküre Ho Jo To Hooooooo to you all!